A veteran coach and teacher who founded the boy's lacrosse program and guided that team to regional andnational prominence, Jim McClellan served CCHS in avariety of capacities for 32 years prior to his retirement inthe spring of 2000. A native of Pepperell, McClellan was a three-sport star at Holderness School before graduating from North Middlesex Regional High School, McClellan went on to Springfield College, where he was a football and lacrosse standout and started that school's Outing Club before graduating in 1966. After three years as a teacher and coach in Rutland, Vermont, McClellan carne to CCHS in the fall of 1968, when he Signed on as a physical education teacher andcoach under Director of Athletics John O'Connell. CCHS had no lacrosse program at the lime, but McClellan and local doctor John Eten collected equ ipment and fielded a varsity team in the spring of 1969. McClellan went on to coach the squad for 17 seasons, establishing the Patriots as one of the most powerful programs in the state. CCHS posted a 231-69 record in his tenure, including a 26-0 record and state championship victory in 1982 and Eastern Mass. titles in 1978, 1982, 1983 and 1984. A two-time Boston Globe Coach of the Year, McClellan tutored 13AII Americans and sent dozens of players on to success in the collegiate and professional ranks. 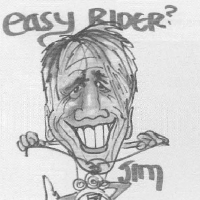 "The quality 1most admired in Jim was his ability to make practicing an d training for lacrosse so much fun, and this was an indication of his crea tivity as a coach," said John Fay '77, a CCHS Hall of Fame member who was an AlI American lacrosse player at the University of New Hampshire before embarking on a six-year pro caree r. "He cared about us on the field and off, and was able to reach out to kids of all backgrounds and get them interested in being part of the program. He was a friend who also commanded incredible respect, a very difficult thing to accomplish as a coach." McClellan coached freshman football for nine seasons, including the unit that formed the nucleus of the 1978 SuperBowl championship team. Also an assistant wrestling coach to Frank Smith for several years, McClellan was headcoach of th at program when Brad Lucido won the New England Championship and earned All-American honors in1984. In recent years, McClellan coached the freshman boy' s lacrosse team to tremendous success and also guided thecross-country and alpine skiing teams, mentoring the 1999 and 2000 cross-country sta te champion, Magali Sulton. 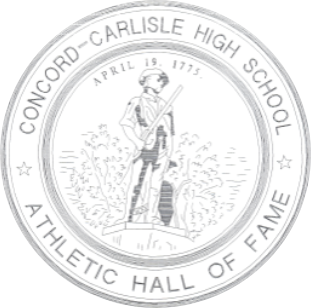 "I have many great memories of teaching and coaching at Concord-Carlisle and of all the students and athletes I have come in contact with, 1hope I was able to help them have fun and grow as people," said McCle llan, who was recently ind ucted in to the New England Chapte r of the United States Lacrosse Foundation Hall of Fame. "To see the lacrosse program grow and see the players go on to have success after high school was a thrill, as was coaching freshman football and to see the wrestling program have success in the mid-80' s."
In add ition to his coaching an d teaching contributions, McClellan organized Wilderness Trips for students during summers in the early 1970's, and also took students toMountain Bike and kayak races and on rock climbing trips. The creator of the Concord River Icebreaker Race, McClellan organized the annual cleanup of the Concord and Assabet Rivers for several years. On top of all that, McClelJan has been a ski instructor at Killington Mountain in Vermont since the late 1960's, and ran the Killington Mou ntain School during a one-year leave from teaching in the ear ly 1980's. A resident of Harvard, Massachusetts, Jim and wife Valerie who have two sons, Jim and Derek, who skied collegiately at Dartmouth and Vermont.